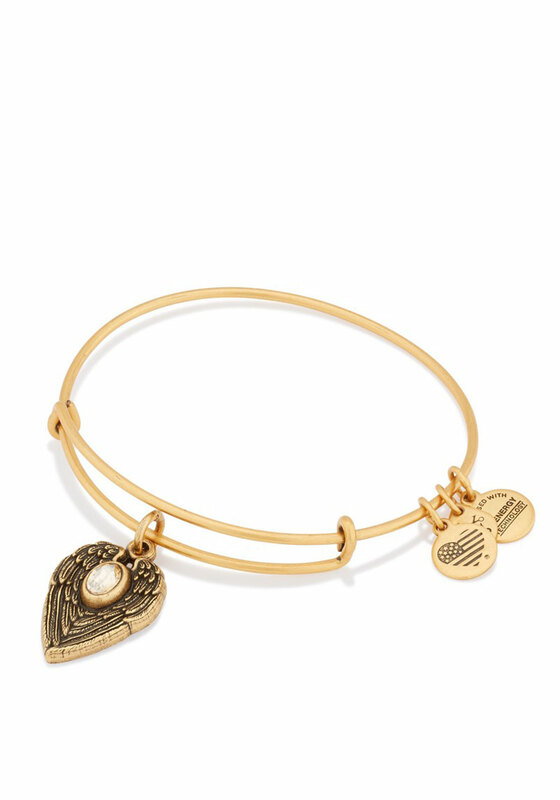 Alex and Ani present their Guardian Angel expandable charm bangle in a Rafaelian gold finish. Guardian Angels come to our aid as pure forms of energy and enter our lives in times of need. Keep the Guardian close when you seek an extra set of helping hands, love, strength, knowledge, peace, healing, freedom and answers. The Guardian Angel wing charm is adorned with a Swarovski crystal.